During my senior year at Prince George High School, I knew exactly what I was going to do and how I wanted to achieve my goals. However, I was unsure of which college would be the best fit for me. 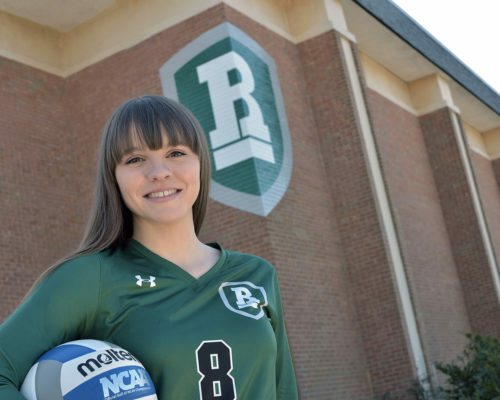 I had offers to play volleyball at other schools, but I decided I wanted to focus solely o my studies without any distractions, so I chose Richard Bland College of William & Mary. During my first semester at Richard Bland, the classroom sizes were perfect, and the professors were wonderful. However, I felt like something was missing. I struggled academically during my freshman year and finished the year with a 2.7 GPA, which was disappointing, knowing that I could do better. That’s when I heard about the opportunity to get back on the court to play volleyball. I was ecstatic knowing that volleyball was coming to RBC and that the new head coach, Scott Newton, would give me an opportunity to play. Playing volleyball and being a part of RBC was one of the best decisions I’ve made. It’s taught me time management with a busy college schedule, and it’s given me a wonderful experience with an amazing group of teammates. I completed the 2017 fall semester with a 4.0 GPA, and I am a member of the Statesmen Student Ambassadors. 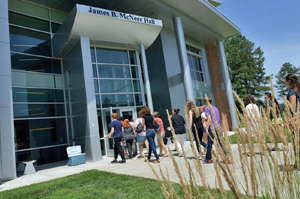 Richard Bland has prepared me for the next step in my journey. I plan to continue my education at either Virginia Tech or Radford, where I will pursue a degree in veterinary medicine or wildlife conservation.